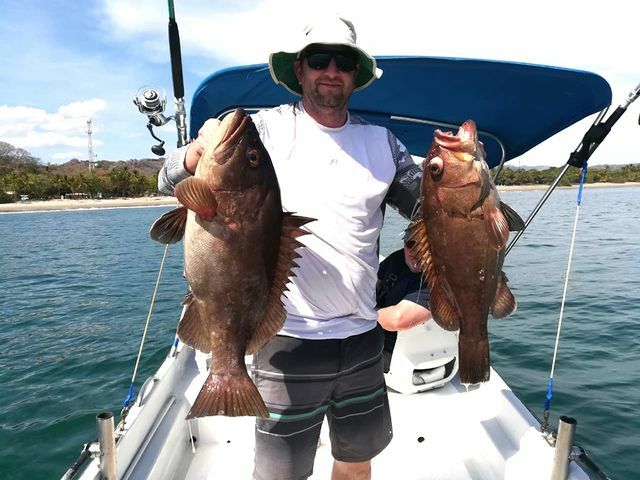 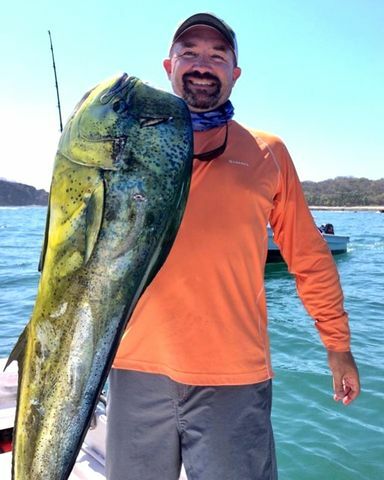 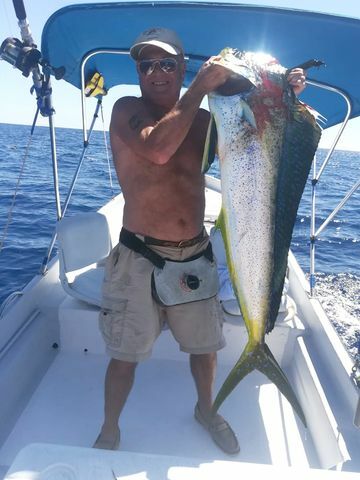 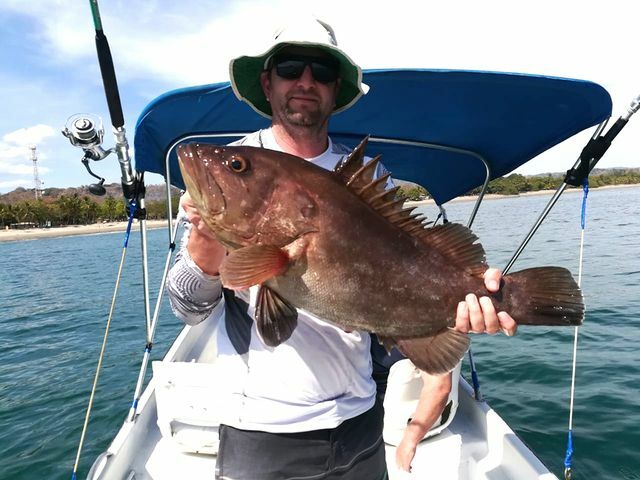 Captain David and the indomitable Adventurer continue to fish hard during the month of March. 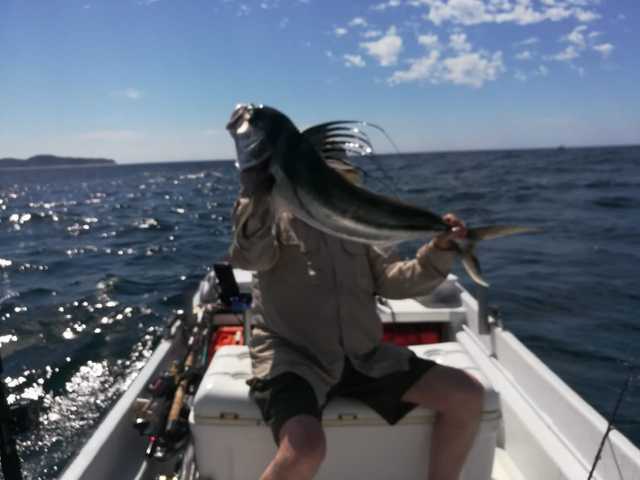 On the 17th he kept the rods bent with these nice Jack Crevelles. 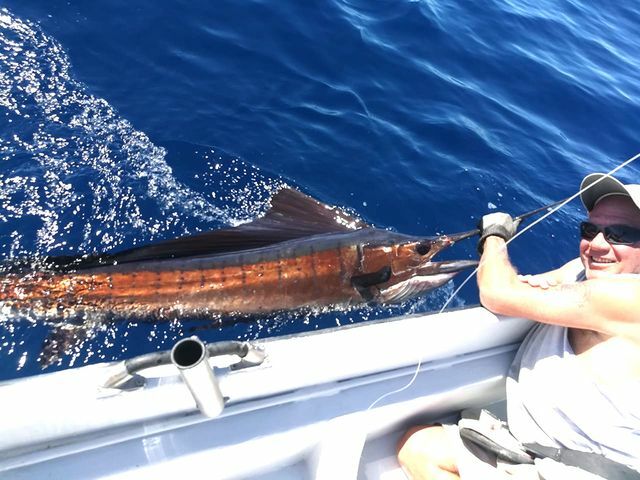 Tiller-steer panga boat catching world-class billfish? 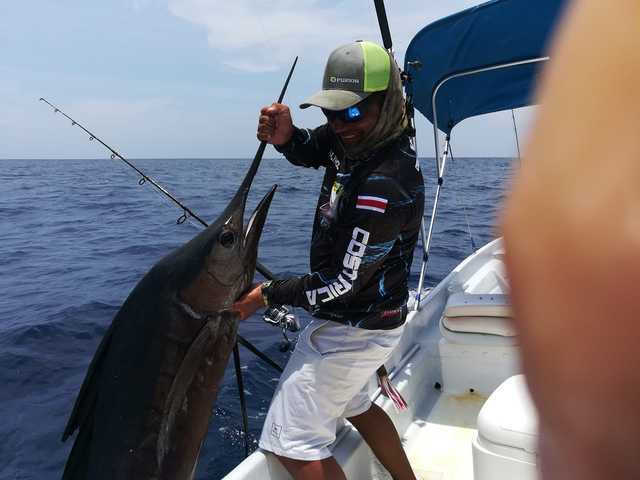 Only in Nosara! 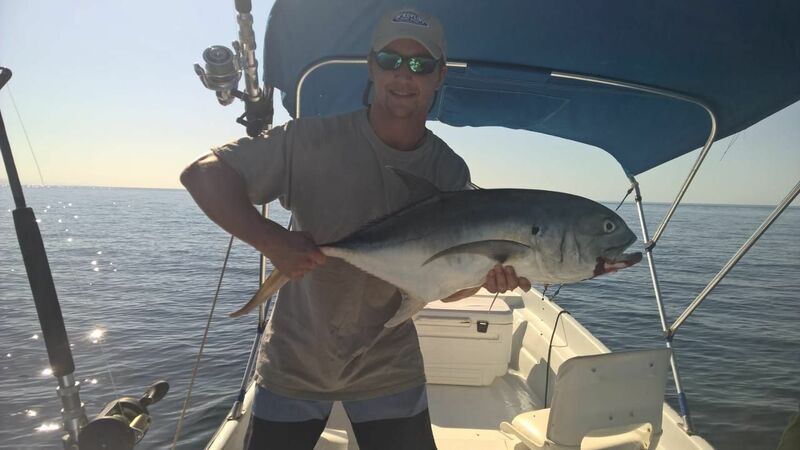 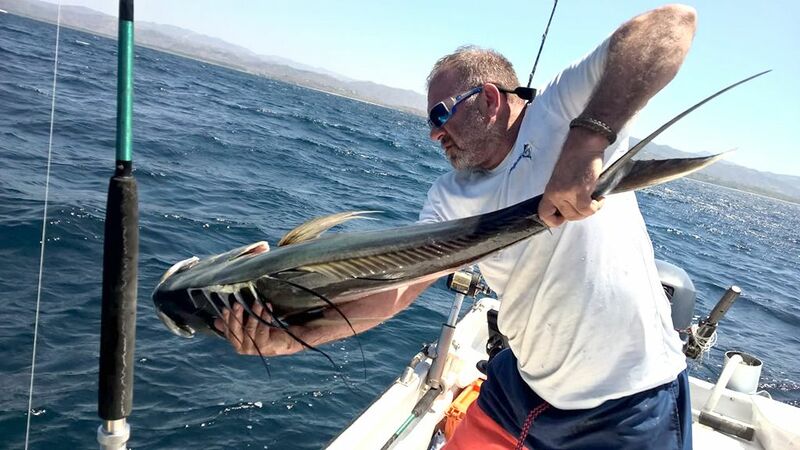 European angler Mr. Riboe is spending the week inshore with Captain David on the Adventurer. 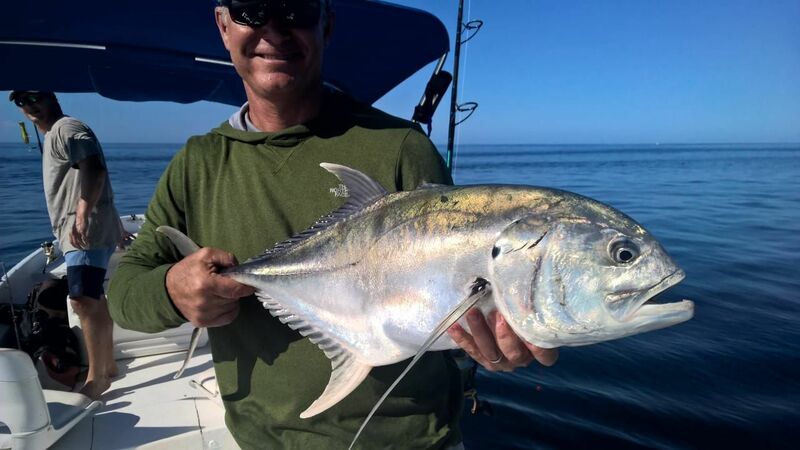 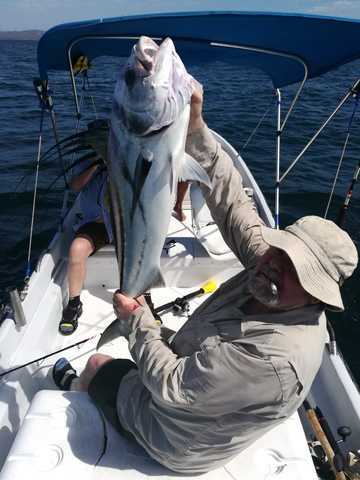 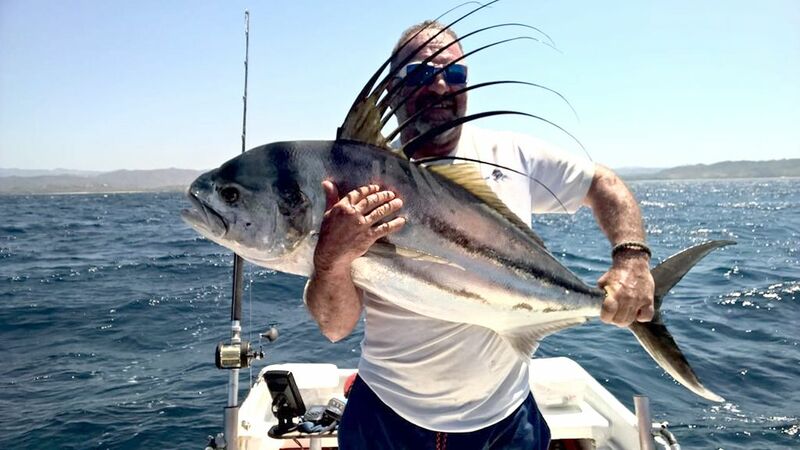 Check out this sweet Rooster Fish release from the 23-foot panga. 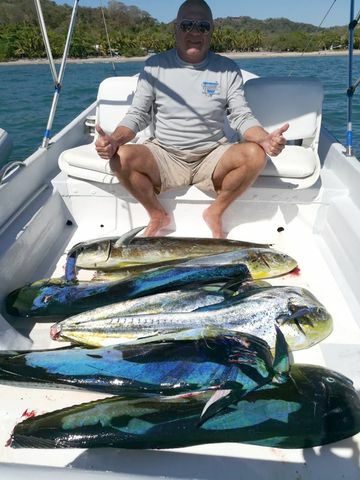 Thay also boated several more nice Mahi-Mahi filets for the dinner table. 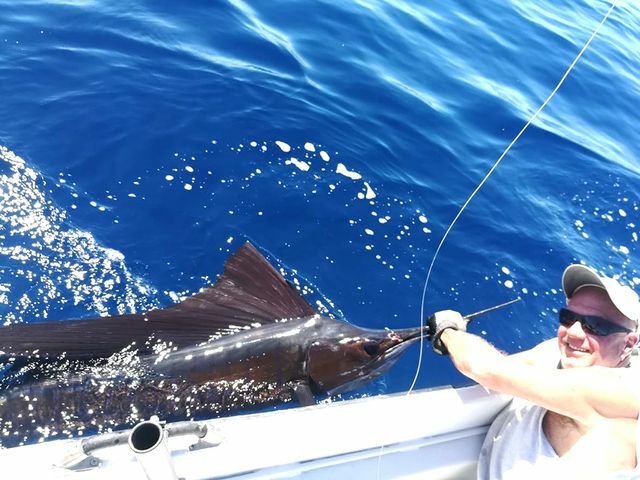 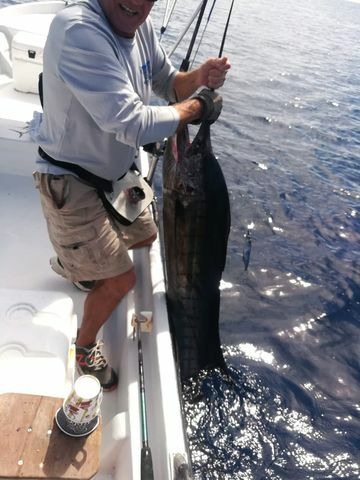 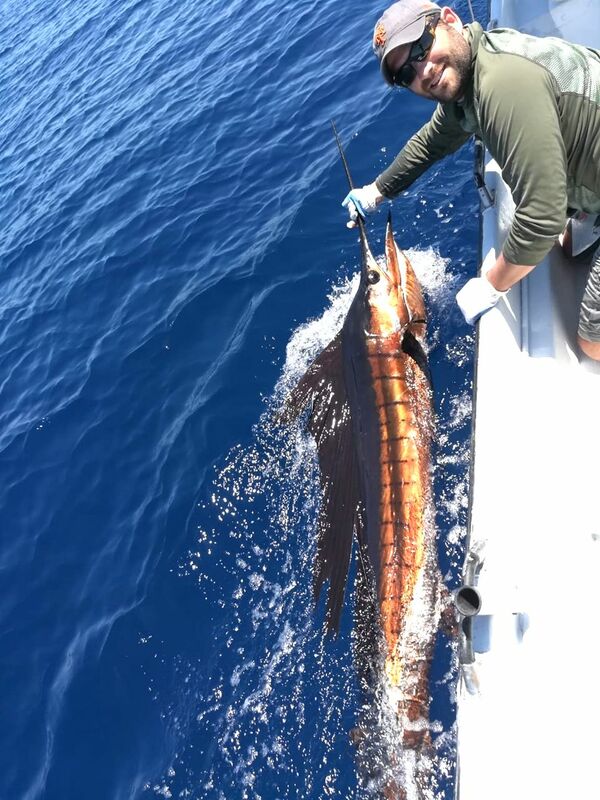 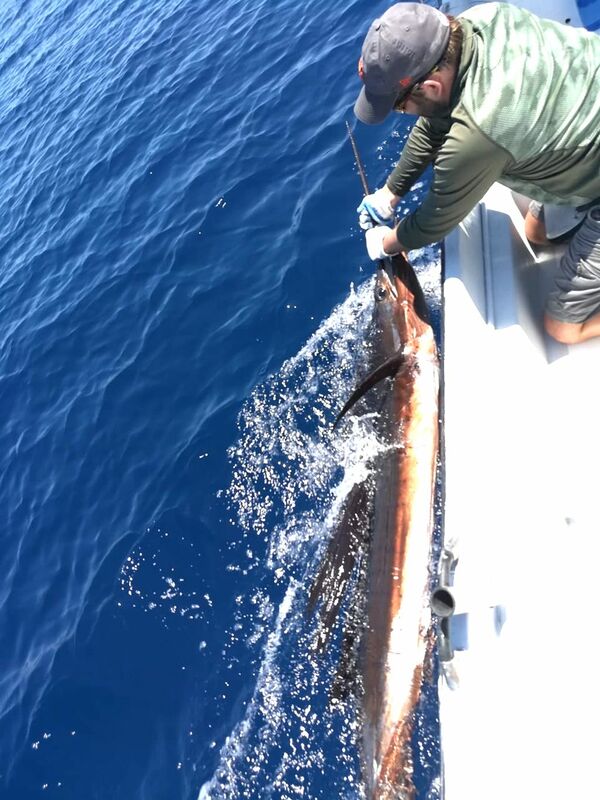 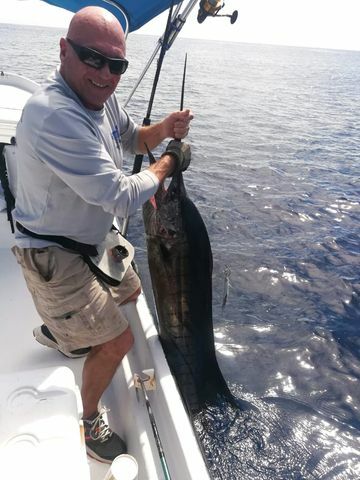 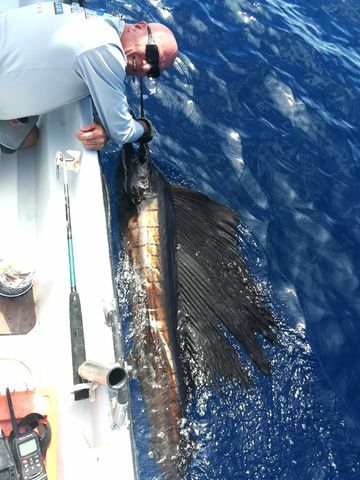 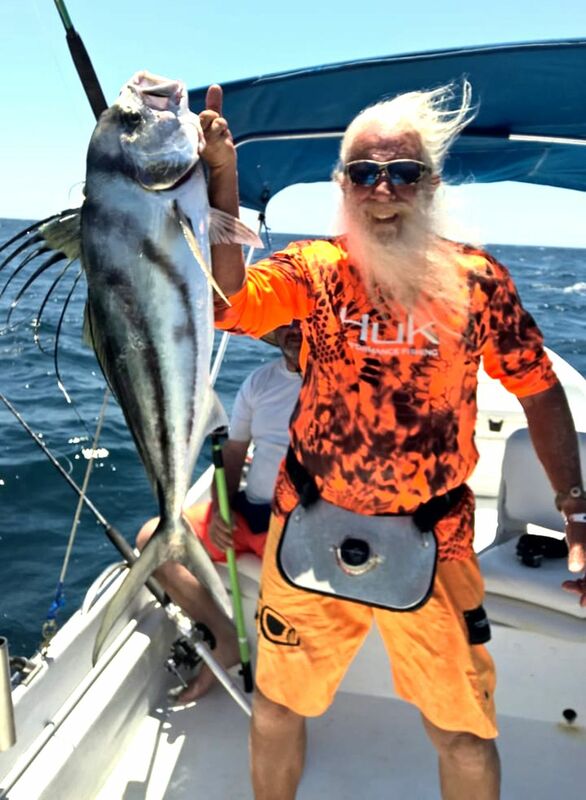 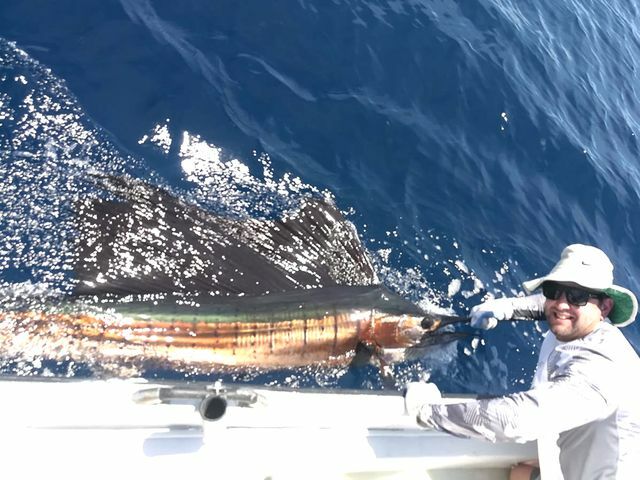 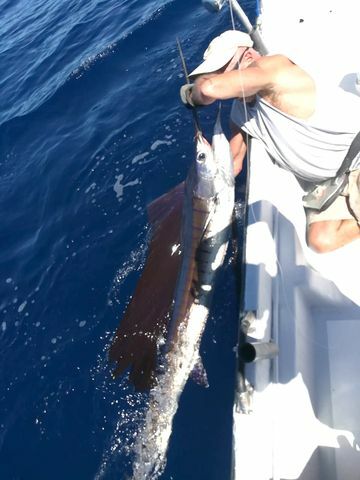 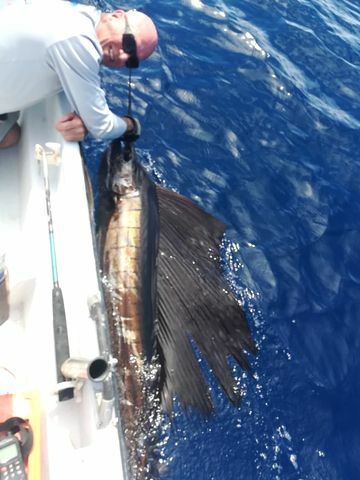 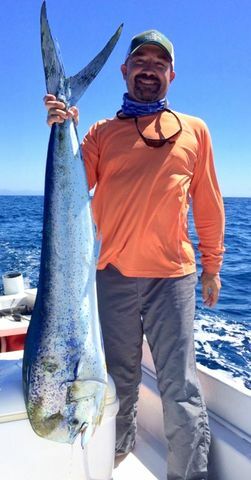 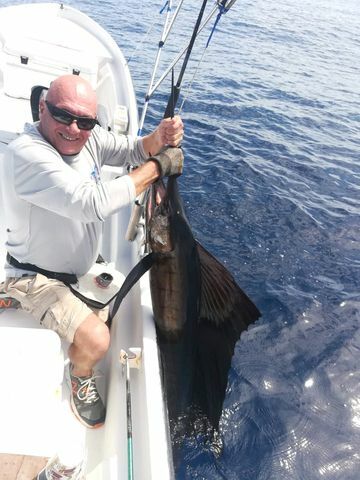 FishingNosara Hall of Famer and Northeast FishingNosara Representative Mark Cooney pulled off an amazing fishing feat with Captain David on January 18th…what, you’ve never battled a Sailfish on a 23-foot panga with a tiller-steered motor? 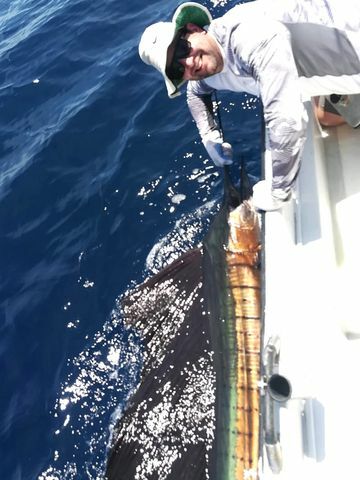 Then he grabbed a second Sailfish! 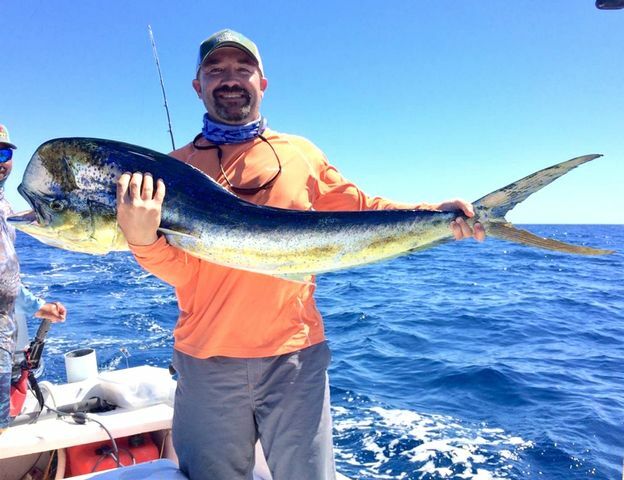 Backed up by lots of great Dorado, this is a picture-perfect day for the Adventurer!